Most Japanese styling and modification trends have been copied the world over. 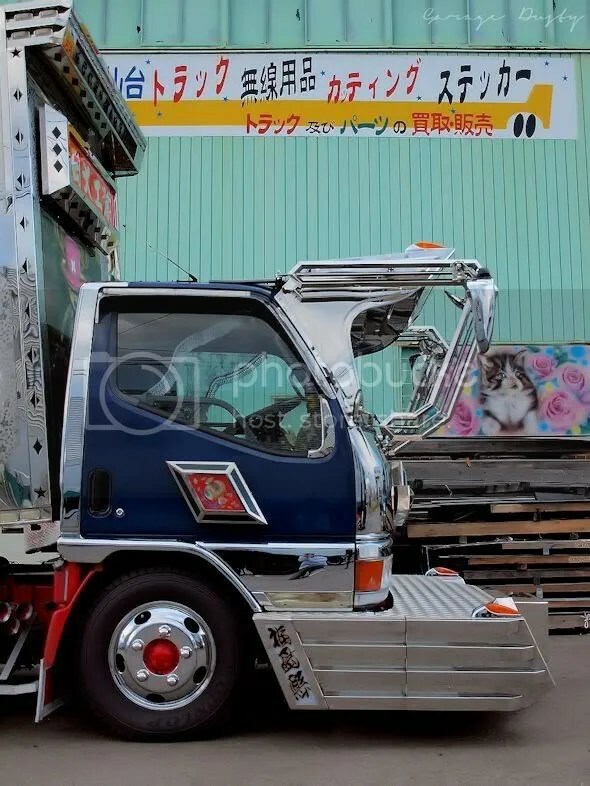 While in most cases the Japanese still do it better than anyone else, the result is at least a little bit of familiarity when, as an Australian in Japan, you see a VIP car or a drift car or a van. That’s not the case with dekotora. 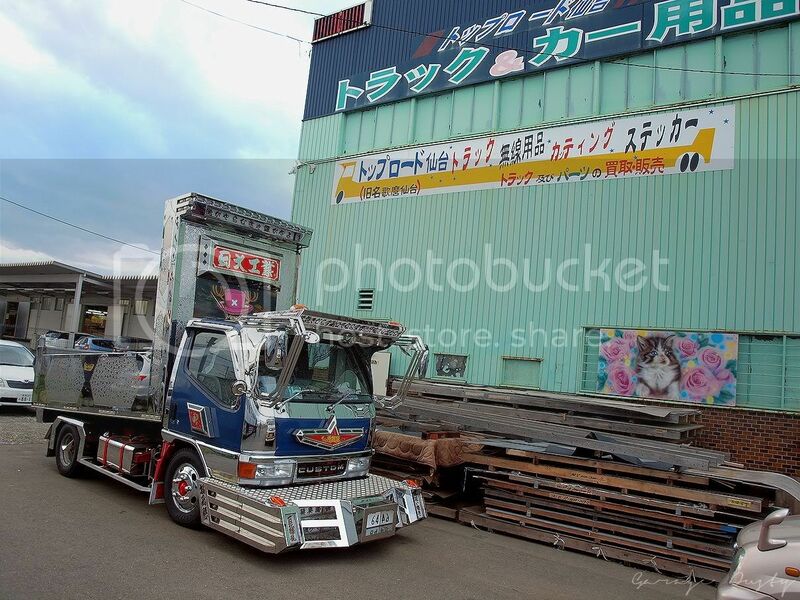 Driving along looking for yet another Up Garage in Sendai we spotted these trucks sitting outside a real live dekotora shop. The big one was cool, but it was this amazing little thing tucked away behind it that I was interested in. 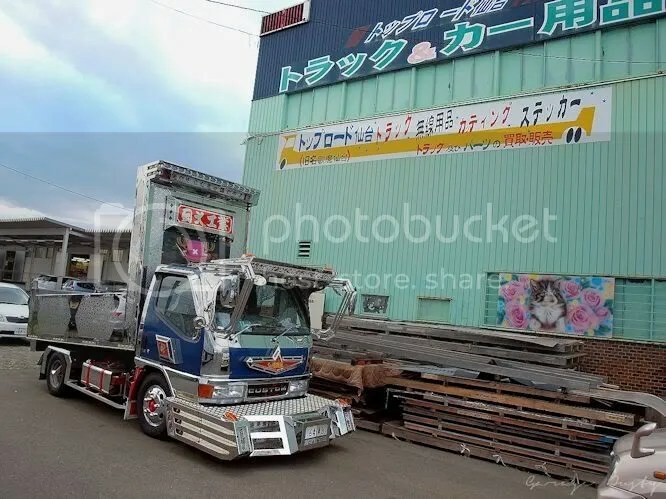 I first saw dekotora (literally “decoration truck”) on that famous tanetane92 page in the early 2000s. I was instantly entranced. There’s just nothing more uniquely Japanese than these amazing trucks. 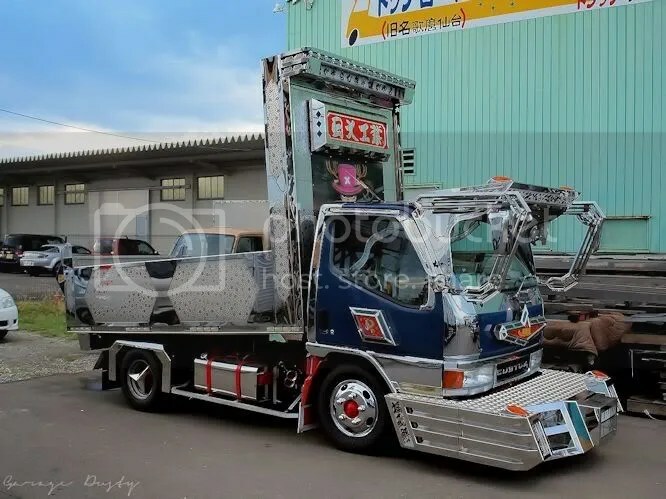 The modification trend caught on in Japan in the 1970s due to the popularity of a series of B-movies focusing on a group of outlaw truckers and their modified trucks. It’s been bubbling away as a subculture ever since, with the trucks getting more and more extreme. This one, while brilliantly executed, was actually quite tame. 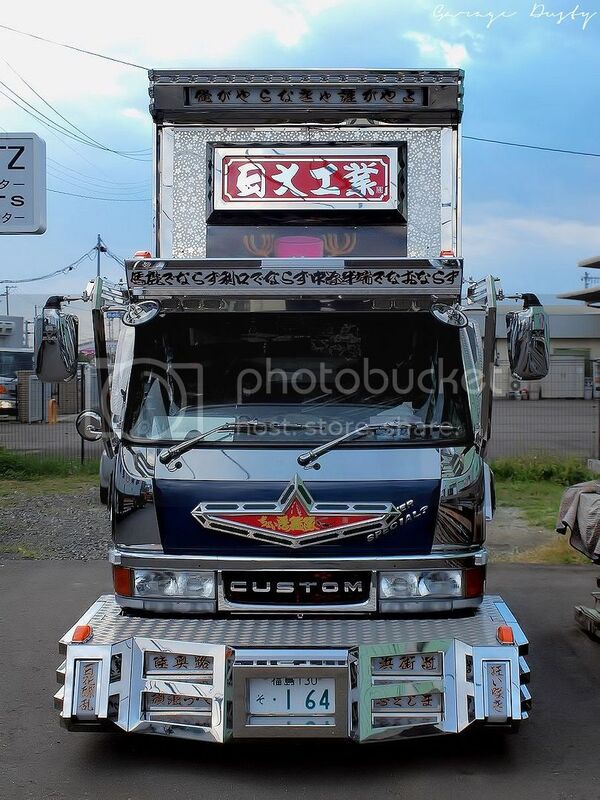 It’s not unusual to see literally thousands of lights covering the cab of a full-build dekotora. Check out the video at the bottom of this post for an example. “Custom”. He ain’t kidding. Imagine this thing rolling up into your rear view mirror. Airbrushing is a hallmark of dekotora. 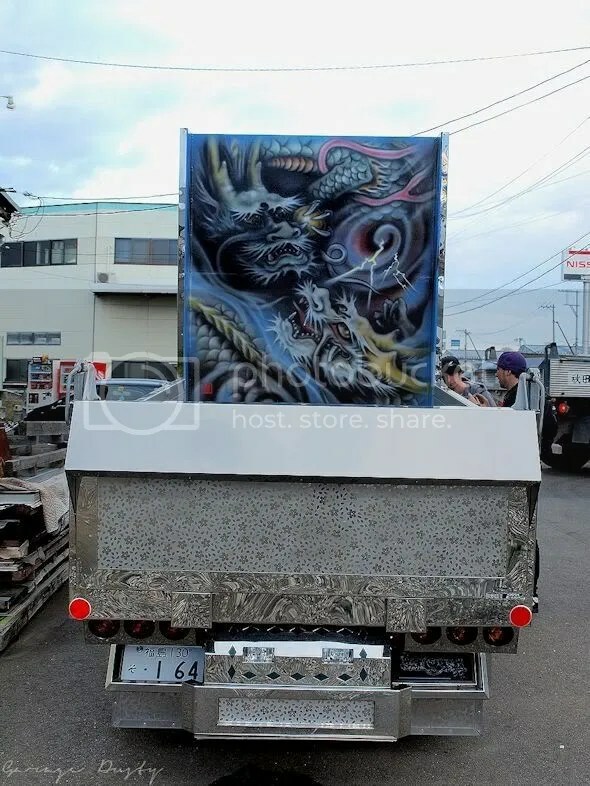 Owners tend to favour traditional-looking Japanese themes like dragons or “the great wave“. 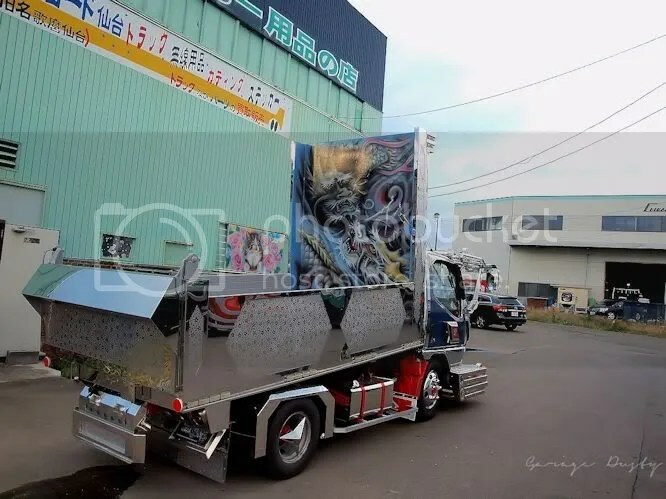 Such is the popularity of dekotora that there are actually artists who airbrush them as a full time job. This truck appeared to be a workshop demo, and as such had lights in the bed to illuminate the mural at night. It is worth mentioning, though, that this is probably in the minority. 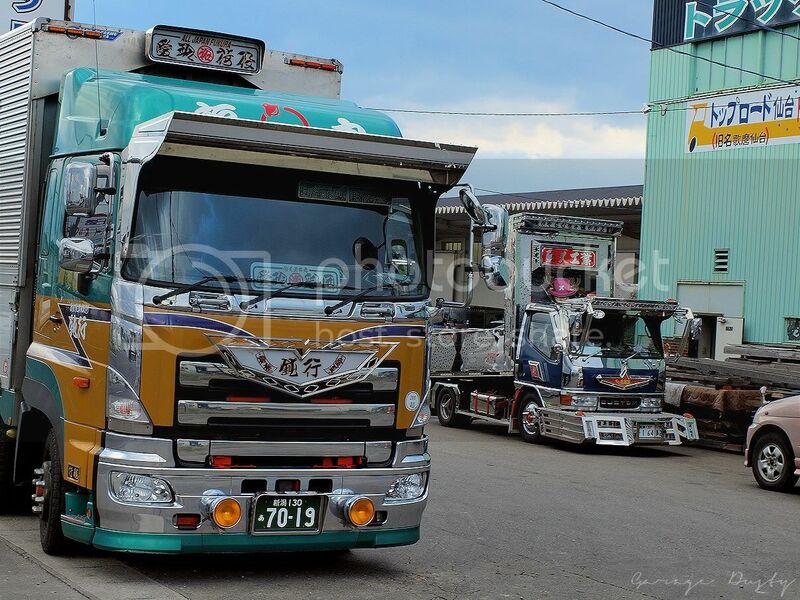 Lots of dekotora are actually daily driven, working trucks! The front bumper is pretty small… Check out the freshly painted kitten mural in the background waiting for its owner to pick it up. Look at the etching on the sides of the tray. Amazing workmanship and attention to detail. The tri-spoke wheel caps seemed to be a commonly used accessory – we saw these a few times on more “lowly” trucks. This was probably pretty close to the highlight of the trip for me. I love these things. There’s literally no reason to do this to your truck other than the fact that you have a passion for it. None of it serves any purpose other than looking flashy and being individual. I absolutely respect the hell out of that. Form>Function! 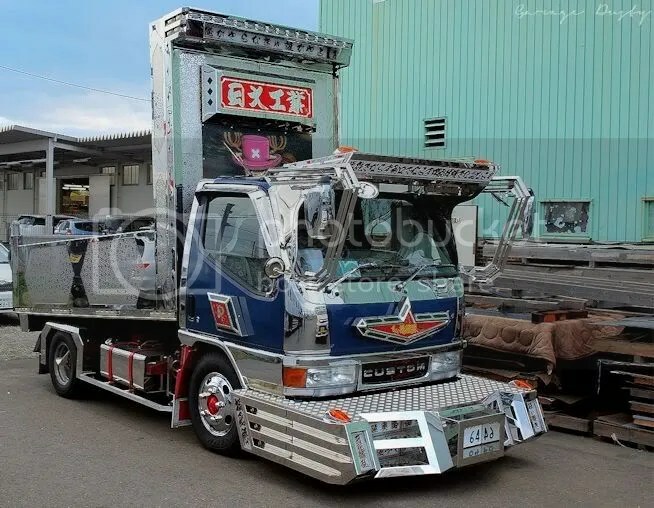 While it would obviously be better for us Western philistines if the video below had subtitles, I think the images alone give a bit of an insight into the passion that drives these trucks. Worth a look.